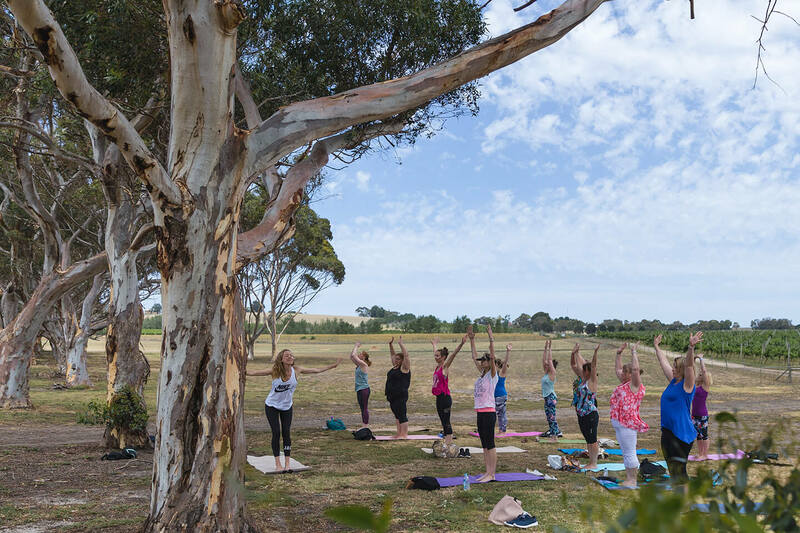 Join us on a relaxing Yoga and Wine Tour to the beautiful Bellarine Peninsula. 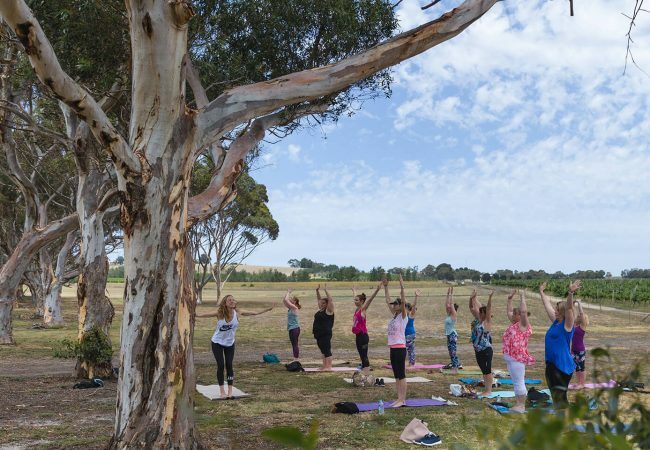 You’ll enjoy yoga, wine-tasting and indulge in share platters at Bellarine Estate winery. This event is an amazing day trip from Melbourne. BYO Yoga mat! 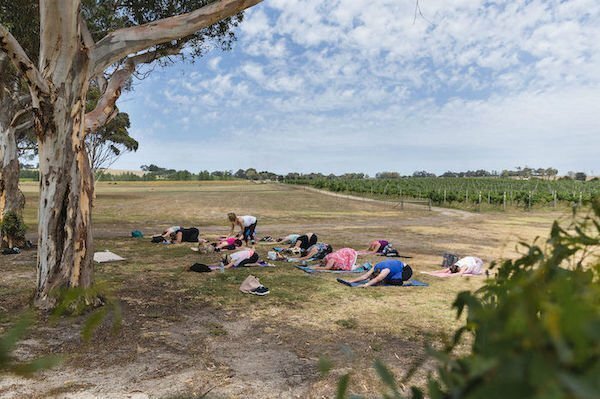 You will get your appetite going with a 60-min indoor Yoga class, followed by a guided wine-tasting in the cellar door. Afterwards, indulge in a relaxed lunch with delicious shared platters including a glass of vino on the house. All this will be paired with plenty of laughter and inspiring conversations. Departure and Arrival from 131 Harbour Esplanade. Victoria Harbour, Docklands. This is directly across the street from the Marvel Stadium (previously Etihad Stadium). Take the Northern exit at Southern Cross station and walk towards Marvel Stadium. Take the stairs down to the left to reach Harbour Esplanade, Docklands. You will see Port Phillip Ferries across the road. You should allow approx. 10 minutes to walk from Southern Cross. If you’re coming by car, please use this website to find the nearest parking to Southern Cross Station. *Please note we are not liable for any unexpected ferry cancellations. We will do all possible to obtain a refund from our third party suppliers for you in case of third party cancellations.